2019 marks the thirtieth anniversary of mezzo-soprano Cecilia Bartoli recording for Decca, her label for the duration of her career. Bartoli's first recording was Rossini's Il Barbiere di Siviglia (London/Decca, 1989) opposite famous baritone Leo Nucci. 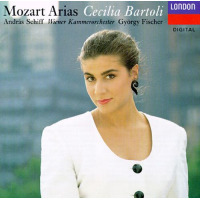 My own introduction to Bartoli was through her Mozart Arias (London/Decca, 1991). 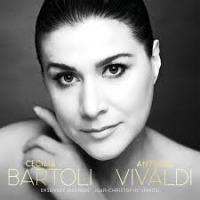 For full disclosure, Ms. Bartoli was so beautiful that I purchased that recording based on the cover alone. 20 years ago, she released The Vivaldi Album (Decca, 1999) with Il Giardino Armonico under the direction of Giovanni Antonini. That recording has been credited for the subsequent Vivaldi revival. For its 20th anniversary, Bartoli returns to the music of the "Red Priest" with a collection of opera arias directed by Jean-Christophe Spinosi and Ensemble Matheus. This new album samples from Vivaldi's entire operatic oeuvre, from 1713's Ottone in Villa to 1737's Catone in Utica. To be sure, Bartoli's voice has matured but that maturation brings an impressive control that enables her to go from staccato machine gun delivery to the creamiest tone imaginable at slower tempos. The singer spits fire (if that is an appropriate description for an opera singer) from the get-go, dispatching "Se lento ancora il fulmine" from Agrippo and bringing things down to a cool elixir with "Sol da te, mio dolce amore" from Orlando Furioso. Bartoli meets her refined craft head-on. Even after 30 years, she remains the Prima Donna of the mezzo range. Finally, a fitting tribute to the music of Tadd Dameron, with Vanessa Rubin's vocal adaptation of Dameron's work as an added plus. The Cleveland native has distinguished herself as an impressive song stylist with a Midas touch for challenging material. 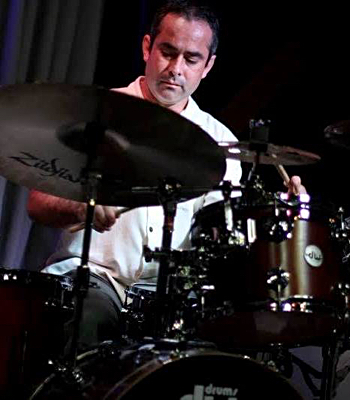 Rubin has eight previous recordings. Interestingly, only Girl Talk (Telarc Records, 2001) has been reviewed on All About Jazz. 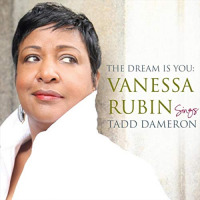 The Dream Is You: Vanessa Rubin Sings Tadd Dameron offers a grand opportunity to remedy this situation. On this first collection of vocal Dameronia, Rubin performs in various-sized formats made up of members of an octet led by pianist John Cowherd, from a piano trio on the bouncing "Kitchenette Across the Hall" to the full band treatment for the lush "If You Could See Me Now." The band is full and understated. 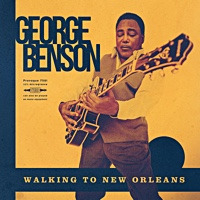 Rubin also pays special tribute to arrangers of the Dameron songbook, including Frank Foster, Benny Golson, Jimmy Heath, Bobby Watson and Willie Smith. Smith's arrangement of "Good Bait" is pure swing that gives a deep nod to Dameron's penchant for the offbeat. Rubin's voice is beautifully studied in these performances. 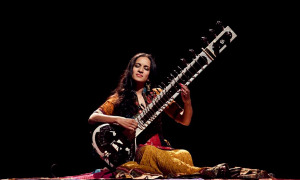 Her affinity for Dameron and inclusion of his music in her performance book are both amply evident. This inspired theme is programmed with the same inspiration by Rubin and co-producer Cecil Bridgewater. 2019 is already looking up for jazz vocals. As fine as many of them are, choral recordings of Renaissance and Baroque sacred music are a dime a dozen. This is where the ensemble Gloriæ Dei Cantores comes in. Their performances of contemporary sacred music exist in a paucity of recordings. Their recent recordings of the music of James Weldon Johnson and Edmund Rubbra are a testament to this unique and rare place. 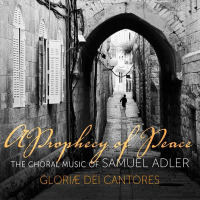 Gloriæ Dei Cantores now turns their attention to a living master, Samuel Adler, on A Prophecy Of Peace: The Choral Music of Samuel Adler. Adler is most notable for his six-decade career as a faculty member at both the University of Rochester's Eastman School of Music and The Juilliard School, Adler is also known as the founder of the Seventh United States Army's Seventh Army Symphony Orchestra, the only symphonic orchestral ensemble ever created under the supervision of the United States Army. This album includes Adler's two Psalm motets as well as the first recording of his "Transfiguration: An Ecumenical Mass." The orchestra and chorus are in fine form. Captured at mid-distance, the texture is a bit chilly but the performances are robust and presented with brio. Anchored by violinist Stephane Grappelli and guitarist Django Reinhardt, the Quintette du Hot Club de France created a delicious subgenre of jazz between 1934 and 1948. 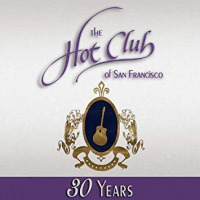 That tradition lives on in bands like The Hot Club of San Francisco, which celebrates 30 years as a band with...wait for it...30 Years. Guitarist Paul Mehling began HCSF as a forward-thinking throwback dedicated to the art of European-style improvisation. Not satisfied with leading a museum piece band playing dusty dry melodies, Mehling envisioned something restlessly creative and constantly evolving. The result is 14 recordings that the leader has skimmed from the cream to present here. 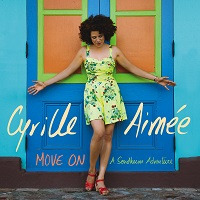 Not content with a status quo of standards, this album is populated with surprises such as Reinhardt-esque takes on Thelonious Monk's "Round Midnight," the French Impressionism of "Claire de Lune," Argentinian tango in "Alla Prese Con Una Verde Milonga," Brazilian roots music for "Choros" and The Beatles' "If I Needed Someone" and "Because." 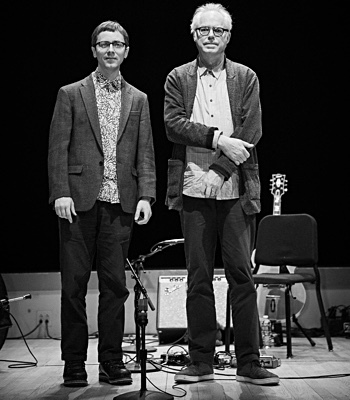 "Messe/Improvisation" pairs Reinhardt-inspired improvisation with a Catholic Mass that the guitarist wrote for the Romani people (also known as "Gypsies"), making it without question the most far-reaching piece on 30 Years. This is seriously infectious music, pleasing to the ear and the spirit. There is much we may learn from it. 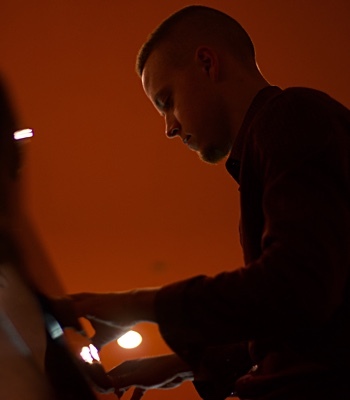 Pianist Ran Blake has established himself as a premiere accompanist for jazz vocalists. Blake has recorded with Christine Correa, Sara Serpa, and Dominique Eade. It all began with Blake and Bard College classmate Jeanne Lee entering the studio to record The Newest Sound Around ( RCA Victor, 1961). Blake and Lee would not record again until You Stepped Out of a Dream (Owl Records, 1989). Now The Newest Sound You Never Heard: European Recordings, 1966/1967 doubles the amount of available music by the pair, material recorded in Belgian studios in 1966 and during a live performance in 1967, unheard until now. 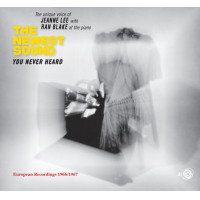 Blake and Lee record a broad and excitingly provocative repertoire, from Tin Pan Alley to Bob Dylan and The Beatles. "Darkly hued" is perhaps an understatement. From an anxious "Misterioso" through a searingly melancholy "Spring Can Really Hang You Up the Most" this significant product of kindred spirits years ahead of their time was scarcely approached over the next 50 years. The contemporary songs are the real treats: a rocking "Hard Day's Night," an elastic "Hallelujah, I Love Him So," and a bouncing "Mr. Tambourine Man" show that looking backwards can show us the future. This is a significant and important release. 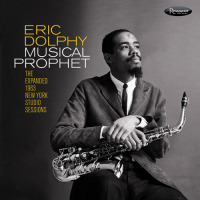 Eric Dolphy's Musical Prophet: The Expanded 1963 New York Studio Sessions is the most recent star in Zev Feldman and Resonance Records's considerable crown. Dolphy, a pivotal and polarizing figure in jazz, may rightly be considered John Coltrane's spirit animal (or the reverse, or both at the same time). Dolphy was professionally active for 15 years between 1949-1964, commercially recording as a leader during the last three years of his life, before dying of an improperly treated diabetic episode while touring in Germany. For such a brief amount of time recording, Dolphy's professional and artistic shadow is long, continuing to be vital over 50 years later. These New York studio sessions comprise two days of recording in July 1963, shortly after Dolphy departed Prestige/New Jazz records. Chronologically, these recording fall between sides for Freddie Hubbard's The Body and Soul (Impulse!, 1963) and Charles Mingus' Mingus Mingus Mingus Mingus Mingus (Impulse!, 1963). Dolphy's Out to Lunch (Blue Note, 1964) sessions were still six month away, just 11 months before his death. The original session resulted in the release of the LPs Conversations (FM Records, 1963) and Iron Man (Douglas International, 1963). Originally released in stereo, the present tracks are monaural, derived from archival tapes in the possession of James Newton. Newton received a suitcase of Dolphy's personal effects that Dolphy gave to his friends Hale and Juanita Smith for safekeeping before his final tour in Germany. 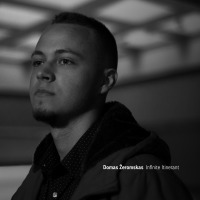 These recordings reveal a fertile mind, similar to Coltrane but with a different, slightly more conservative direction. 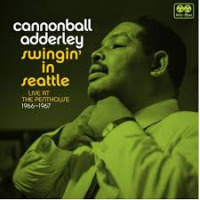 The three-CD set presents Dolphy in a variety of formats. His solo horn performances on "Love Me" and "Tenderly" are standouts, as is the Latin vibe he achieves on "Musical Matador." It will be hard to discount anything about this timely and important release. The late Frank Morgan shared many professional and life events with Art Pepper. Both men specialized in the alto saxophone. Both grew up and performed during the same period. Both musicians' careers were interrupted by heroin addiction and lengthy incarcerations. Both men mounted auspicious and career-defining comebacks late in life. Both men shared Contemporary Records as home for a while. 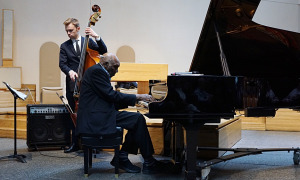 Both men recorded duet recordings with pianist George Cables. 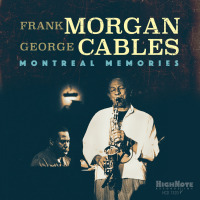 Montreal Memories is a posthumous Morgan release finding the saxophonists in concert with the pianist recorded at Theatre Port Royal on July 1, 1989. Previously, Morgan and Cables had hooked up for the recording Double Image (Contemporary, 1987). This release shows the differences between the late periods of these artists, and each one's essentialness. Where Pepper evolved well beyond his bop roots, Morgan dug in and applied those roots to everything. Morgan and Cable's program for these live performances lives deeply, but not exclusively, in the bebop vein. Bop is Morgan's bread and butter and his light "wounded bird" tone is distinctive. He provides punctilious performances of the canon, including "Now's The Time," "All The Things You Are," and "A Night in Tunisia." Cables is up to the challenge, providing expert support with piquant soloing all around. "'Round Midnight" is wailing and plaintive, while "Confirmation" is razor sharp and white hot, a crazy bebop counterpoint resting old man Bach on his ear. 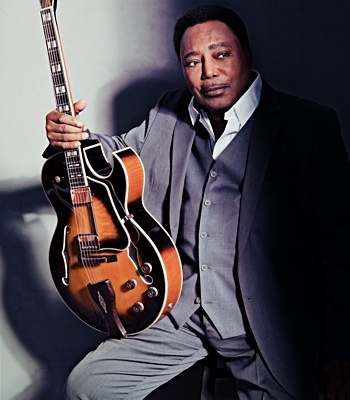 Morgan provides his own tender "Blues For Rosalinda" and justifies his light tone on Cables's "Lullaby" and "Helen's Song." The disc's revelation lays in coupling Wayne Shorter's "Nefertiti" with Charlie Parker's "Billie's Bounce." This genius programming pits modal and standard harmonies against each other, forcing both musicians to a realm well outside the box. Let us hope that there is much more of this archival material from these two men. For a singular treatment of this recording, see Peter Hoetjes's review. Bassist Alexander Claffy has a reputation for making forward-thinking, envelope-pushing music. The 26-year-old Philadelphia native's debut recording, Claffy, generated much buzz for its incorporation of non-jazz elements into the mother idiom. Claffy is an all-out assault on convention, mixing genres in different measures to arrive at something akin to Frank Sinatra performing in the Mos Eisley cantina a long time from now, far away from here, consuming Biphetamine cocktails and black coffee. Brilliantly schizophrenic, Claffy pits a tender performance of the time-honored standard "I'll Be Seeing You" against a spectacularly mood-altered take on Neil Young's "Don't Let It Bring You Down," capped with a polyrhythmic "With a Song in My Heart." The program is rounded out with several equally space-time bending originals. 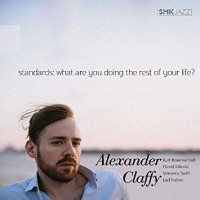 The bassist brings things back to the mainstream (if you can call it that) for nine standards on his second recording Standards: What Are You Doing The Rest of Your Life?. After Claffy, it would be foolish to expect the bassist's new recording to be a typical sleepy standards affair. Far from it, and alongside mentors and peers, Claffy sandblasts these old songs into taut and precise 21st century products. 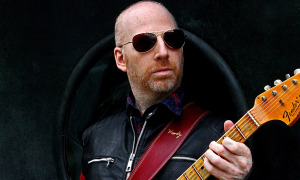 The recording is anchored by Claffy, pianist David Kikoski and guitarist Kurt Rosenwinkel. 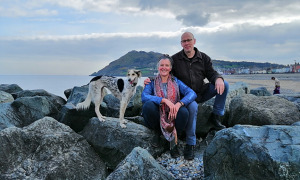 Claffy acts as the fulcrum between the tradition supported by Kikoski and the progressive side represented by Rosenwinkel. McCoy Tyner's "Blues on the Corner" and Rosenwinkle's arrangement of Cole Porter's "Just One of those Things" exemplify the forward-thinking approach to these standards. At the center of it all is Claffy, a veritable enfant terrible out to conquer the jazz world. Jamie Saft mustered a couple of almost-mainstream acoustic projects recently with his Solo a Genova (RareNoise, 2018) and Blue Dream (RareNoise, 2018). He has already made music with bandmates Steve Swallow and drummer Bobby Previte (plus Iggy Pop) on Loneliness Road (RareNoise, 2017). The trio unite again for what is not just another jazz trio recording. 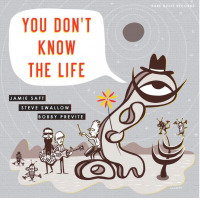 On You Don't Know the Life, Saft opts for organ and electric harpsichord, and the music immediately acquires a Doors-on-Quaaludes vibe that would have suited the soundtrack for Dark Shadows. Still, it is much more than that. The disc opens with Saft playing electric harpsichord on Bill Evans's "Re: Person I Know," revealing just a hint of Iron Butterfly and a bit more Ray Manzarekhad Manzarek been the love child of Bach and Wendy Carlos. Things get noisy, reassuring me that Saft has kept his sense of humor. "Dark Squares" is a simple nightmare dirge performed on a Whitehall organ. 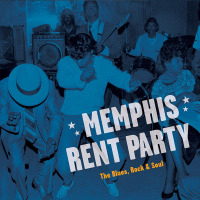 The title piece is a pre-ZZ Top Billy F. Gibbons psycho-blues for the '60s that frames Swallow and Previte well, and is a hell of a lot of fun. 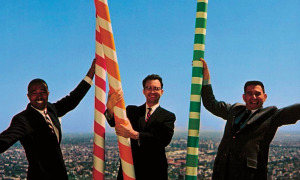 Roswell Rudd's "Ode to a Green Frisbee" opens with Previte playing rolling figures before Swallow and Saft enter to straighten things out, tongue-in-cheek. 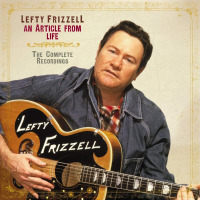 The disc closes with two stone standards, "Moonlight in Vermont" and "Alfie." Don't let anyone tell you that Saft is a stick-in-the-mud. "Vermont" comes off like a church song introducing a 50s soap opera. "Alfie" speaks for itself. Saft could have been playing "A Brighter Shade of Pale." This is what music is always meant to be about: the gleefully unexpected. Hidden in the depths of The Reckless Night Ensemble is one Skip Heller, whose voracious musical appetite ranges from his precious John Hartford to Raymond Scott. Scott, an American composer, bandleader, pianist, and record producer, never scored cartoon soundtracks but his music is familiar to millions because composer/arranger Carl Stalling interpolated it into over 120 Looney Tunes and Merrie Melodies cartoons. Scott's compositions may also be heard in more recent shows such as The Ren & Stimpy Show, The Simpsons, Animaniacs, and others. This is inventive, happy music, deceptively simple and dizzyingly complex. 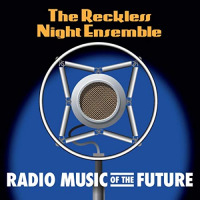 Radio Music Of The Future is an EP (and that is being generous) of four Scott pieces. 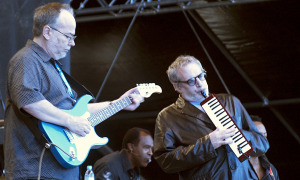 The opening "Coming Back Down to Earth" features the lyrics of Christopher Butler sung by Birdie Jones, who joins Heller in his current band Carnival of Soul. This music can best be compared to Don Byron's Don Byron Plays the Music of Mickey Katz (Nonesuch, 1993). Both recordings celebrate the music properly, never smothering it with nostalgic bromides. "Portofino Clarinet Trio with Trumpet" may be the closest fusion of American and Eastern European music achieved. Heller, who arranged and produced the recording, explained that this was the most challenging of his projects. His efforts pay off with dividends. His scoring for this small big band is expert. This is Skip Heller's finest hour. My only quibble is that this 12 minutes of music is not 120 minutes.